It is official! This morning I was sworn in by Cobb County Superior Court Chief Judge Adele P. Grubbs as a member of the Georgia bar. With my family by my side, I took the oath to uphold the United States and Georgia State Constitutions and to abide by the Rules of Professional Conduct as a full member of the Georgia bar. Despite having taken a number of such oaths in the course of my career, it still gives me a great sense of pride to stand in a courtroom before an esteemed judge and repeat the oath of office. Thank you for your support, and on to a career that now officially spans the great State of Georgia! 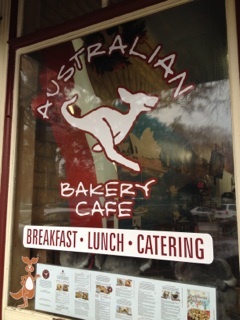 And since we were nearby, we just had to go celebrate with brekkie, Aussie style!